Many thanks to everyone who has responded to my request for information on Leeds City and United players from 1900. I have received some lovely stuff and this is my final request before the book goes to print. I am looking for descendants/relatives and friends of any Leeds City players from 1904 and Leeds United players from 1920. Players such as: Charlie Copeland born near Middlesbrough c 1894, played for City 1912 to 1919. Thomas Astill who played for City 1908/11. Gerald Kirk, born Ingleton in 1883 but lived in Headingley, played for City 1906/7. Tom Lamph born Gateshead 1893 played for City 1914 to 1919. Doctor Cecil G Reinhardt, born in Leeds c 1888, played for City 1910 to 1912. Harry Roberts, born Crofton, Wakefield June 27, 1904, played for United 1925 to 1930. Sam Powell, born Rotherham May 25, 1899, played for United 1921 to 1925. Ernie Hart, born Burton January 3, 1902, played for United 1920 to 1936. Any information of any kind on any player will be greatly received, thanks. Leeds Civic Trust is very supportive of efforts to include air quality in Leeds and welcomes the package of measures and grant funding approved by national government. We were pleased to facilitate two discussion events in the last year on this important topic. Poor air quality is a silent killer – doctors will tell you how they see an increase in asthma admissions when air quality levels are low. Research is showing how children’s lung capacity is decreasing as a result of the air that they breathe. Some are concerned that the council’s measures do not go far enough, other are concerned that the measures may impact on their businesses and go too far, but in the end there is no safe level of air pollution and these measures (which were required to achieve legal air quality limits) should be seen as a start of a longer term programme. How we plan our future transport provision in Leeds has a huge impact on air quality. 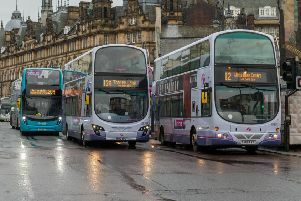 Leeds Civic Trust has always supported high quality public transport as a means of reducing congestion and air pollution, making cycling and walking more attractive and safer, and town planning that does not require people to use a motor car to access work and services; an increase in city centre living supports this aim. So we will continue to debate and discuss this important issue and look to Leeds City Council to plan for a future where our air quality is radically improved. I read with scepticism Stephen Hammond’s claim (YEP Letters, January 17) that “the NHS plan will preserve the nation’s most prized asset”. The ‘plan’ aims to keep people well and identify illness earlier – both dependent on adequate funding and sufficient staff. Two thirds of acute Trusts are in the red, compared with five per cent in 2010. Cancer waiting times are the worst on record, huge problems exist in A&E, and the average wait for a GP appointment is up 30 per cent to two weeks. Until eight years ago, the NHS budget was increased annually by four per cent to meet rising demand, before being savagely cut to one per cent. The Office for Public Responsibility estimates a 4.3 per cent increase is needed. £20.5bn does not make up for the accumulated financial deficit, increases the overall budget by only 3.4 per cent, and not until 2023/4. The ‘plan’ also intends to implement a top-down reorganisation, with 44 ‘Integrated Care Systems’, lacking in public accountability (everything about you decided without you) and unprotected from takeover by the private sector. Forced mergers of GP practices will cover populations of 30-50,000, causing accessibility problems for many. Whereas most of the 60-plus uncosted commitments in the ‘plan’ to improve services would be welcome, they are completely unrealistic given the funding offered. An obsession with non-evidence based digital solutions, lack of a workforce plan to tackle the current 100,000 vacancies, absence of information on how much capital will be available for new projects, and ignoring the crisis in social care all spell further misery for patients. £20.5bn may help keep the lights on, but this ‘plan’ is in reality a recipe for the destruction of our most prized asset. ‘Leeds Keep Our NHS Public’ invites the public to join a demonstration demanding proper NHS funding: 11.30am on March 30 outside the art gallery. Joanne St Lawrence (YEP, January 19) says “The EU we signed up for was for trading and co-operation in standards never to surrender our sovereignty...” She is entirely mistaken. When we voted to go into Europe – by a clear two to one majority – the whole issue was about whether we were willing to give up our national sovereignty. We had been considering that for many years. I remember discussing it in 1948 and I gave a talk about it in Barnsley in 1961. In the 1970s those who opposed our going into Europe constantly repeated that we should not give up our national sovereignty. Raymond Blackburn MP went as far as challenging the Government in the Courts on this issue. Despite that we went into Europe because we felt that we could play a useful part in building a united Europe. And over the years we have. Many of the EU Directives have been inspired by our representatives in Brussels. On the other side, we have gained through being part of the European Union. Economists have estimated that the UK has profited more than any other nation from being part of the EU. Our contributions have alleviated the terrible poverty which existed in parts of Europe. However, many people have changed their minds. So we had a second referendum. By a narrow majority – 51.9 to 48.1 we voted to leave. But our ex-pats were prevented from voting. Many of our voters thought that to vote leave would stop immigration into this country, or that it would help the NHS. Our young people, many of whom could not vote in 2016, are strongly in favour of staying in Europe. 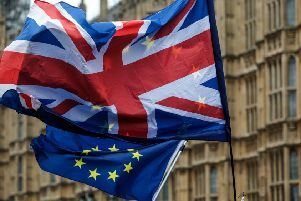 Now that the problems of leaving are becoming more obvious, opinion polls show that those who want to leave are in a significant minority – 44 to 56, according to the latest polls. The case for a fresh vote is overwhelming. This year, Kidz Aware has been chosen to benefit from the Co-op Local Community Fund. We are raising funds to hold an open event to improve the lives of children and families living with mental health issues we support many families in the area who are on low incomes and struggle each day by providing these services we are co working with other services in the local communities to bring a well-being approach for all that will continue improving lives. We are currently supporting many new families of children who have mental health issues and are suicidal, also we support adults with mental health. These families struggle for services so rely on our support. The real issue we have is that more and more families are seeking our services due to closures and cuts in services in this area. We want to be able to offer more support, especially in accessing services and offering them and their family unit support, for as long as they require this, such as mental health support forums; training; attending appointments, appeals, meetings, helping to keep families together whilst speaking up on their behalf for better services and better outcomes.To help us raise vital funds, we’ll be relying on Co-op shoppers. Every time they buy Co-op own-brand products they get a five per cent reward for themselves, and a further one per cent goes to local causes like ours. Co-op members can decide which local group they would like to back by going online www.coop.co.uk/membership. We really hope that people will visit the website and choose to support us. If you’re not a member and would like to support us, you can join at your local store or online at www.coop.co.uk. When Leeds City Council so readily grant planning permission for property developers in Adel, they should have a say in the type of houses being built. The recent monstrosities built in Adel are the three storey houses with at least four bedrooms and some with more. They all have the minimum distance allowed between them with postage stamp gardens. Why are no smaller houses being built for people to downsize and free up the big houses they longer need in retirement? I know of several couples who are desperate to downsize to a small bungalow in the area they live in but have no chance because none are being built. Please send your letters by email to yep.newsdesk@ypn.co.uk.